The standouts include the AE or 'Acoustic Excellence' in-ear model with 9mm drivers that work in conjunction with the headphones' metal housing for increased low-end bass performance. It's available now from Apple's online and brick and mortar stores for $150, and includes a series of both foam and silicone sleeves depending on how much noise isolation you're after. 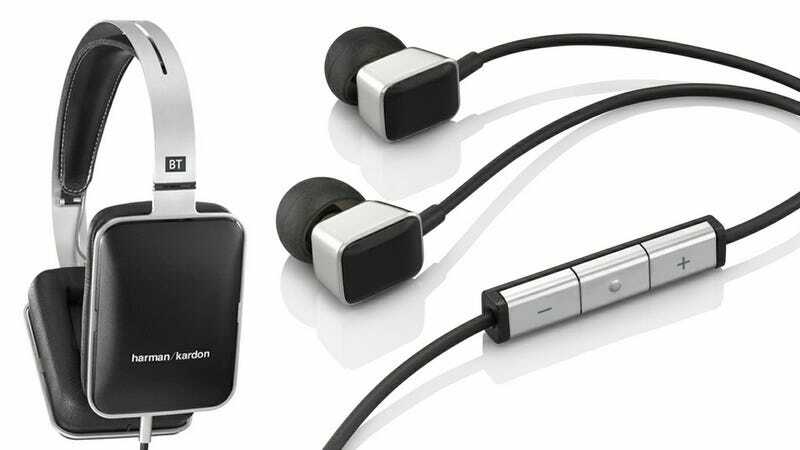 And if it's an over-the-ear design you prefer, without having to deal with a tangle of wires, Harman Kardon's BT headphones offer a Bluetooth connection to your iPhone or iPod Touch and complete control over your music using a set of playback buttons on the outside of one of the ear cups. Battery life is rated at an impressive 12 hours on a single charge from an included USB cable, but users have the option of switching to a headphone cable for wired playback when the headphones are completely drained. The BTs are also available now from Apple, but with a slightly steeper $250 price tag.